Add presence to your home or firm's interiors with photographic prints of Manhattan seascapes. The bay, the ships, the bridges, the waterside parks with their quiet retreats, and the famous skyline are the subject for almost 200 black and white photographs. Discover for yourself how far removed from the city you can be--down at the water's edge, or under a bridge you've crossed a thousand times before, or sailing alongside an arriving ocean liner. 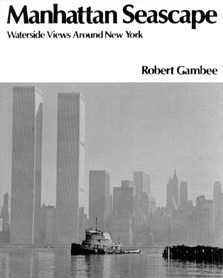 Included are descriptive impressions of New York and its magnificent harbor by such authors as: Charles Dickens, Walt Whitman, Thomas Wolfe, Henry James and others.